We have been searching for a regular sushi place for some time. We used to go to Mikado, when we knew the regular chefs. 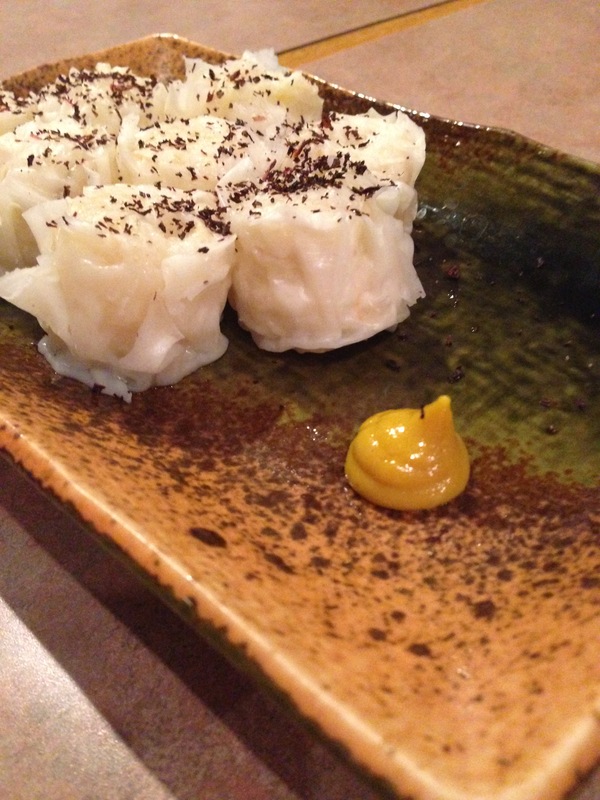 And we love Tomo for Japanese tapas, but it’s quite the drive from our home. 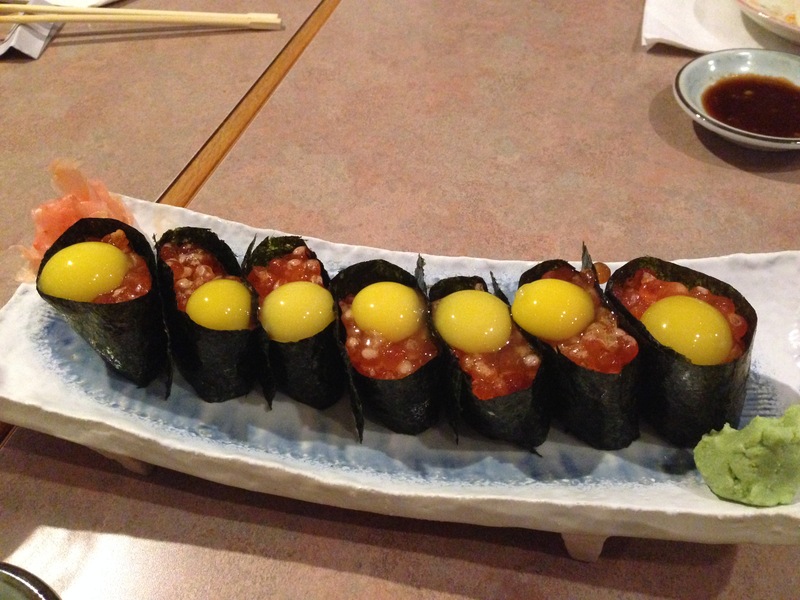 And then finally, we found Yuzen, which has become our go-to Japanese restaurant in the Northeast. On this visit, we started with some cooked appetisers of grilled, salted black cod and shrimp dumplings (ebi siumai). The siumai is one of my favourite items on the menu, and one I haven’t seen anywhere else. A savoury shrimp filling is wrapped in a delicate wrapper and steamed. Topped with sour-sweet dried plum flakes and served with hot mustard, this is a unique dish not to be missed. The black cod is not cheap, but it is amazing. 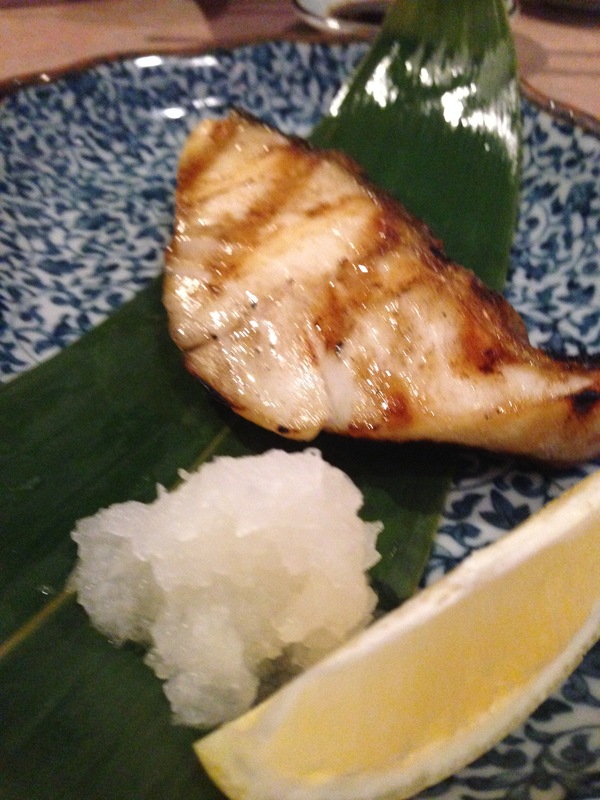 I always go for sea-salt rather than teriyaki, because I like to taste the delicate fish. The skin was crispy and it was perfectly cooked. This dish is served with grated daikon (Chinese radish), which is a nice contrast to the sweet fish. For sushi, we ordered a dynamite roll and a selection of nigiri: hamachi (yellowtail), unagi (eel) and ikura with quail’s egg (salmon roe). We normally get uni (sea urchin) as well, but they were out. This is the area where Yuzen tops the other local Japanese restaurants. 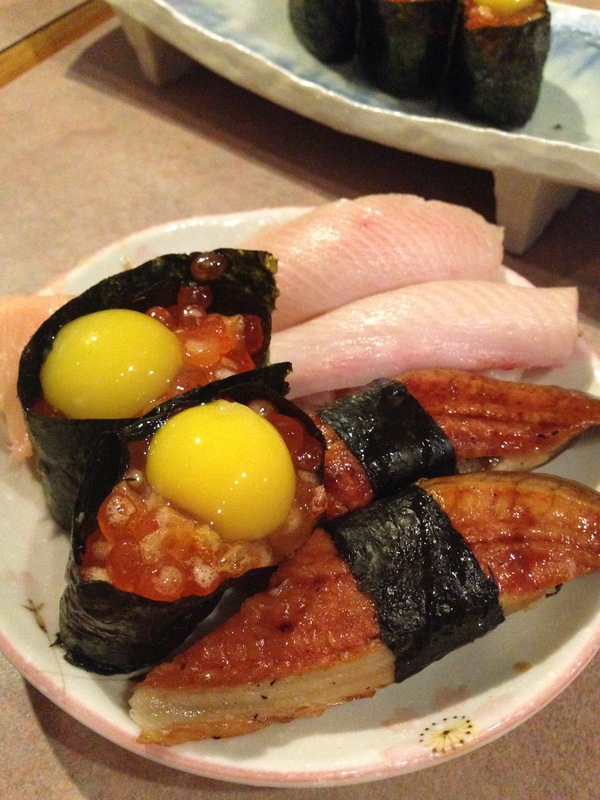 Their fish is always fresh, and the chef prepares each roll and slice with finesse and precision. The rice had just the right balance of tart vinegar and was formed so that it was firm but still soft. The bento boxes are also very popular. For dessert, we would recommend the ice cream mochi. This isn’t a fancy restaurant, but it’s got a truly traditional vibe and it’s family friendly (when the owner/chef’s wife is in, she sometimes gives out little Japanese handmade toys to toddlers) and very clean. It has the feel of a local, family-run restaurant; which is accurate, because the chef is also the owner. 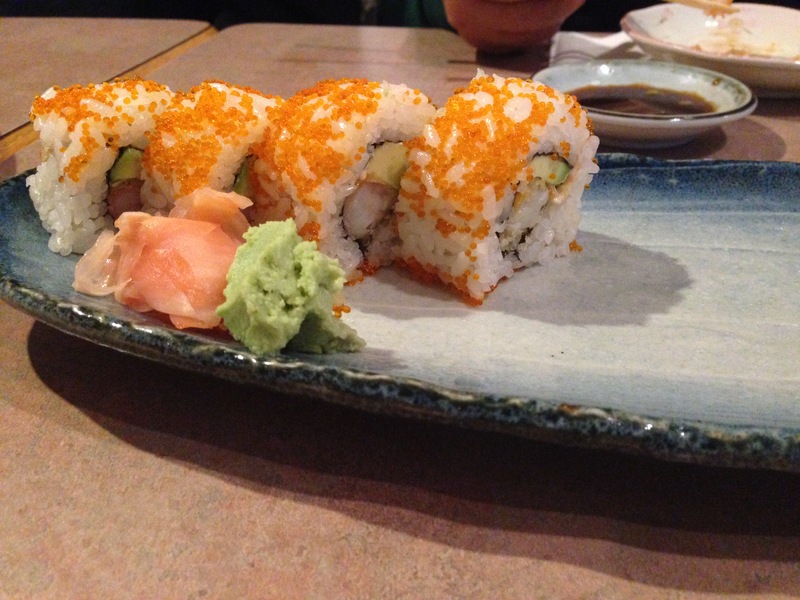 But what we love most about Yuzen is the consistent quality of the sushi and sashimi. We also hear they specialise in ramen on Saturday afternoons – we tried to get in one time, but the wait was too long. Hopefully we’ll get to try it soon! In the meantime, we’ll keep coming back for our sushi fix.